It was a cold windy day we were searching for tarpon in the inshore waters of Miami. I saw a few frigate birds dipping down. 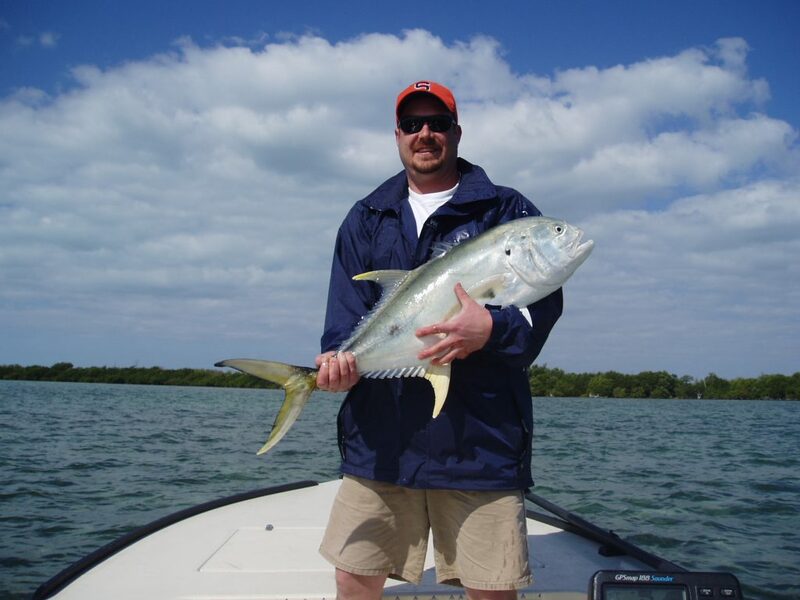 It’s not common to find these birds doing that on the inshore waters of Miami I ran fast over to where they were dipping and saw a large and very fast moving school of giant Jacks. I hurried to tie on a topwater lure to a 10 lb. bone fish rod. Thanks to the frigates that were still following the school of jacks I was able to find them, they had moved about a half mile in just a couple minutes. I ran the boat just ahead of the school and my angler Fred, made a good cast that was instantly blasted by a jack coming completely out of the water to eat the lure and we were on. I should have tied it on a larger rod; that fish went all over Miami – under one bridge and past many of the million dollar mansions about a hour later we got it.